“A complex pathophysiological process that affects the brain, induced by traumatic biomechanical forces resulting in the rapid onset of short-lived impairment of neurologic function that resolves spontaneously. Concussion may be sustained by a direct blow to the head, face, or neck or by a blow to somewhere else on the body that transmits an impulsive force to the head. Dr. Hoffman is proud to house a wide array of computerized diagnostic and treatment equipment perfectly suited for evaluating and managing patients suffering from post-concussion syndromes. It’s our desire to work with you so you can heal from a concussion and resume your everyday activities. Schedule your appointment today! The symptoms that brought me in to Dr. Hoffman’s office are related to Post Concussion Syndrome, some of those symptoms are, balance issues, spatial issues, vertigo, whiplash, shoulder, back and hip sprains. There is an extremely positive, proactive atmosphere in Dr. Hoffman’s office. He understands what is involved to rehabilitate post concussion, and does not push patients beyond their tolerance level. 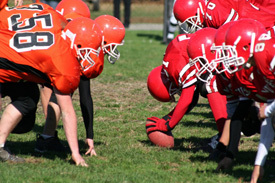 Doctors of chiropractic are becoming increasingly involved in the concussion field. The magazine Canadian Chiropractor reports, “Chiropractors are key members of appropriate team management in concussion injuries. The etiology of concussion is traumatic and as such must be differentiated or managed concurrently with other effects of the trauma such as whiplash, subluxation, neck strain, facet syndromes and muscle spasm. Chiropractors are uniquely capable, and some of the best-trained professionals, to deal with the multiple facets of a concussion injury and should be involved in the health team from prevention to return to play.